Everest Mountain Flight - Blue Mountain Travels and Tours (P.) Ltd. The excitement about exploring nature is a lifetime experience. When it comes to nature one cannot stop imagining the great Himalayas. The Himalayas are home to many of the world’s tallest mountains including Mt. Everest, the highest mountain on Earth. Many nature lovers, including me, fancy climbing the Everest, but it is not an easy task. What is easy is to take flight over the Himalayas to view the Everest. The Everest mountain flight is about an hour journey of the world’s most exclusive mountain flight tour in Nepal. One can experience spectacular views of the Himalayas including the Mt. Everest (8848 metres), Gauri Shanker (7134 m), Langang Lirung (7234m), Ganesh (7429m), Shisa Pangma (8013m ), Gyachangkang (7952 m), Pumari (7161m), Nuptse (7855m), Lhotse (8516 m), Ama Dablam (6812m), Chamlang (7319m), Makalu (8463 m), Cho Oyu (8201m) and Kanchenjunga (8586 m) at far eastern end with many more amazing peaks. Many domestic flights in Nepal such as Buddha Air, Yeti Air and Simrik Air run the business of taking people close to the Himalayas. The trip is an easy trip that will approximately cost you USD 150 – 200. The trip runs all over the year. Some extreme bad weather conditions could be the exception, but the money will be fully refunded in such cases. The trip altitude is about 6500 meters and gives you a very close encounter to the Himalayas, so close that you can feel as if you can touch it. The flight starts an early morning in Kathmandu. The airport is normally 15-20 minutes away from the hotel rooms. It is always a good idea to give that extra time reaching the airport as the Kathmandu traffic can get really bad sometimes. You will be in the flight for about an hour to witness the scenic views of the mountains. The flight will safely be landed back to Kathmandu. The Everest mountain flight is an easy way out but with full of thrilling experience. Without a flight trip to the Mountains, Nepal trip would not be a complete trip. Nepal is well known for its highest mountains. Eight out of ten highest mountains in the world is situated in Nepal. For the world it may just be the Himalayas but for the people who take the mountain flights may be experiencing the heaven on earth. Nepal has one of the best weather conditions in the world. The weather is quite predictable, and this makes the flight much easier for all. The aircrafts that run the business are highly equipped with all the necessary accessories for passengers to travel. These aircrafts may be surprisingly small but are the best ones. The smaller planes are easier to maneuver around the Himalayas. The aircraft normally occupies 1-16 people at one trip ensuring plenty of space for the travelers. All the passengers get to window seats, or close to where they can easily view the Himalayas. There will be aircraft crew members who will guide you through all the way during the flight pointing out the names of the mountains, explaining to you the history of the mountain climbers and so forth. 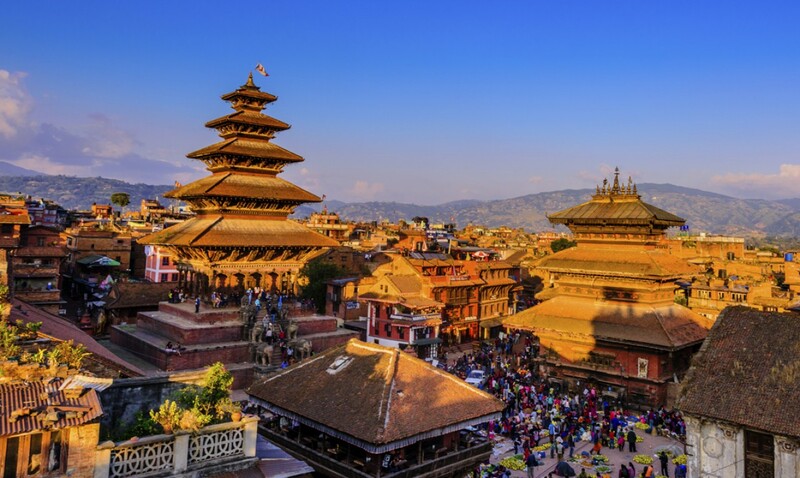 If you are a nature lover and would dearly love to be enclosed by mountains then visit Nepal and take one of the local flights to the Himalayas, especially to view the Mt. Everest from the closest possible distance without having to climb it.